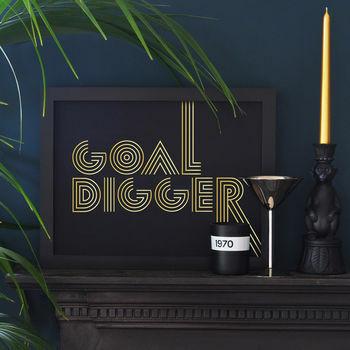 Fabulous original 'Goal Digger' limited edition, signed, gold screen print. 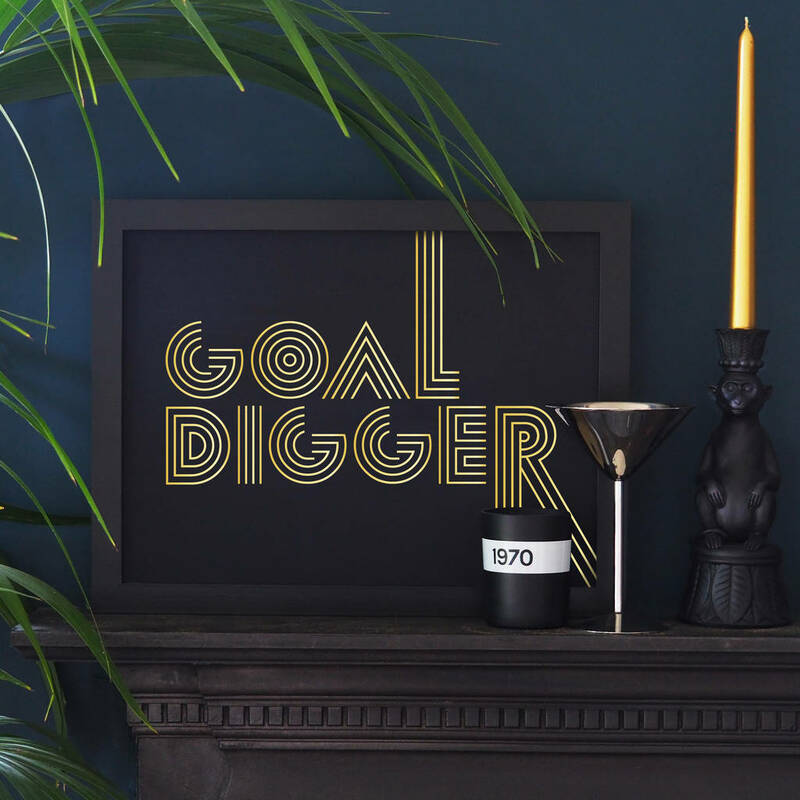 Funky typo piece, part of a fresh new typography range of cool modern design. A play on words for the contemporary home. To add to its charm this screen print has been lovingly hand printed in a funky converted warehouse studio in Brighton. Professionally hand screen printed in metallic gold ink on heavyweight black card. Size 30 x 40 cm. Limited edition of 25. This product is dispatched to you by Mimi & Mae.